January–the month to catch up on fantastic awards favorites that finally made their way to you, like Phantom Thread and I, Tonya, or great movies you might have missed last year, like Ingrid Goes West. 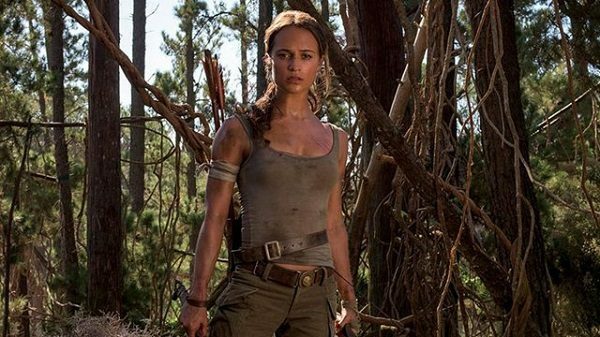 Or you could just see Jumanji: Welcome to the Jungle again and again and again. Now onto the mostly boring February. Winchester–Even Helen Mirren is getting caught up in the unstoppable Based on a True Story horror movie trend. In this spooky tale, Mirren plays the heir to the Winchester rifle fortune who lives in a home that she believes is haunted by the souls of the victims of the Gun That Won The West. The directors, Peter and Michael Sperig, have a mixed filmography with some of their work really good (Predestination) and some of their work really terrible (Jigsaw). The cast is also fine, with Jason Clarke and Sarah Snook in supporting roles. However, Winchester not having any reviews the day before its release plus its placement on Super Bowl Weekend not bode well for its quality. A Fantastic Woman–The last Oscar nominee to open in the US? This Chilean transgender drama is nominated for Best Foreign Language Film at the upcoming Academy Awards, and has outstanding reviews and a bevy of honors from the past year. Fifty Shades Freed–The saga of Christian Grey and Anastasia Steele comes to a close with this final part of the trilogy where they finally get married! 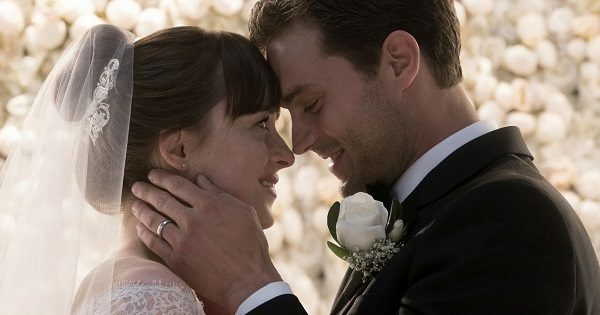 Even though it seems like the steam has gone out of this franchise, the last one (Fifty Shades Darker (2017)) broke over $100 million domestic so it might still have some life left. But at least it’s over with and Jamie Dornan and Dakota Johnson can move onto better things…for now. Wait about ten years until Hollywood’s desperation gives us the inevitable sequel where they are married with children, Before Shadesrise. The 15:17 to Paris–Clint Eastwood continues his foray into making movies out of real life military stories as the director of The 15:17 to Paris. What differentiates this one, about US soldiers who thwart a terrorist attack on a train in Paris, from others in the genre is that it actually stars the real soldiers as themselves. Let’s hope it fares better than Billy Lynn’s Halftime Walk. At least it isn’t filmed in some ridiculously unsettling high frame rate. Peter Rabbit–This month’s big kids’ movie. The classic children’s book about a rabbit trying to steal from a farmer’s garden is turned into a Hop/Alvin and the Chipmunks-esque mix of live action and animation that looks irritating. Then again, Paddington 2 got historically amazing reviews, so who knows where this will fall on the scale. Possibly the blandest of all bland late night hosts, James Corden voices the rabbit and Domhnall “General Hux” Gleeson plays the beleaguered farmer. 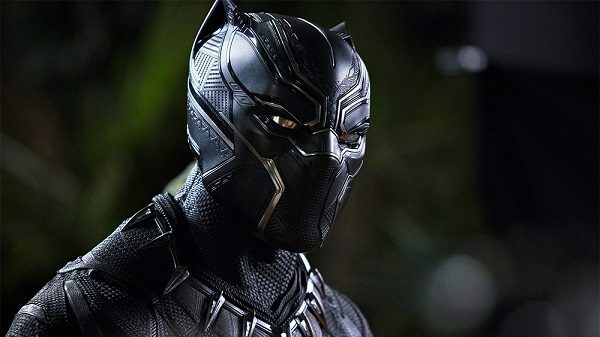 Black Panther–Captain America: Civil War stand out King T’Challa (Chadwick Boseman) gets his first stand alone feature. Directed by Ryan Coogler (Creed, Fruitvale Station), Panther is the first big movie of 2018 and advanced looks/reviews have been overwhelmingly positive. 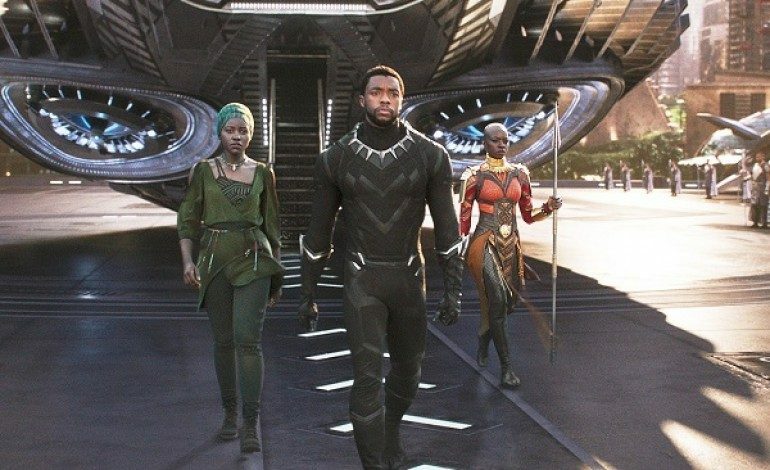 The praise given to its visual design and cast (including Michael B. Jordan and Lupita Nyong’o) have expectations high, and record-setting advanced tickets sales reflect the anticipation. Moreover, this is the last MCU film to tide us over before EVERYONE assembles in Avengers: Infinity War. Early Man–Early Man marks Nick Park’s (of Wallace & Gromit and Chicken Run fame) first directorial effort in nearly 15 years–The Curse of the Were-Rabbit was 2005. A legend in claymation, Park takes on the dawn of time with the vocal talents of Tom Hiddleston and Maisie Williams. It looks more interesting than Peter Rabbit–though will probably be less financially successful. Thankfully, early reviews set it as better than the last prehistoric themed animated comedy, The Croods. Samson–This month’s big faith-based movie, Samson, tells the story of Samon and Delilah. Billy Zane, friend of Derek Zoolander and Biff Tannen, plays the evil King Balek. Jackson Rathbone, one of the Cullens in the Twilight saga, plays the long-haired champion and relative newcomer Caitlin Leahy plays the temptress shearer. The Party–This month’s big smaller movie, The Party is a black-and-white film from writer/director, Sally Potter. Centered around a dinner party that goes awry, The Party has gotten fantastic reviews befitting a cast with notables such as Patricia Clarkson, Cillian Murphy, Emily Mortimer, and Bruno Ganz. 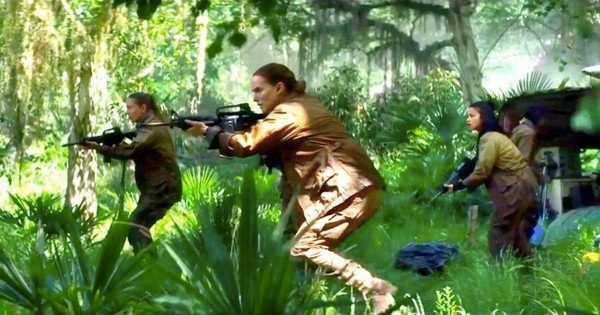 Annihilation–My personal most interesting movie of this month, Annihilation is Alex Garland’s second directorial effort after 2014’s Ex Machina. Another sci-fi thriller, Annihilation (based on Jeff VanderMeer’s book) is about a team of scientists (including Thor leading ladies Natalie Portman and Tessa Thompson) who must solve the mystery behind an early obliterated expedition. With Ex Machina, Alex Garland showed himself as having the potential to be a great sci-fi director, and the promos for Annihilation looks to continue that trend. Game Night–This month’s big comedy, the R-Rated Game Night involves a group of average suburban friends who unwittingly have to solve a murder. The cast is fine: Jason Bateman, Jesse Plemons, and Rachel McAdams. The directors, John Francis Daley and Jonathan Goldstein, did well with their script for Spider-Man: Homecoming but bombed with their directorial debut, the Vacation soft reboot with Ed Helms (and they’re currently lined up to direct the DC Flash movie Flashpoint). And the writer is Mark Perez, whose last movie was 2006’s Accepted. The pedigree is far from great, and it’s more than easy to see this falling into the same dark-ish comedy hole as recent disappointments, Date Night and The House. Mute–Netflix movies are more miss than hit. Even their big budget attempts fall on their faces, such as the horrendous Bright. So rather than being a sign of quality or innovation, knowing that Mute is a Netflix movie is more concerning than exciting. That being said, even with his Warcraft misstep Duncan Jones (Moon, Source Code) is a director who has more than earned our faith. The trailer looks to be a respectable follow up to his two first films with a vibe closer to Blade Runner 2049 than Ghost in the Shell. Hopefully, Mute (starring Alexander Skarsgard and Paul Rudd) will avoid the pitfalls of so many of the rest of the streaming service’s cinematic catalog. Otherwise, even Martin Scorsese’s upcoming The Irishman (which reteams him with Robert De Niro and Joe Pesci and marks the first Scorsese/Al Pacino collaboration) should be presumed to be lacklustre. So that’s February. A month where you can still catch up on the great movies of 2017 you missed. Or see Jumanji again. Luckily, March looks a lot better. At the very least, it has Isle of Dogs.